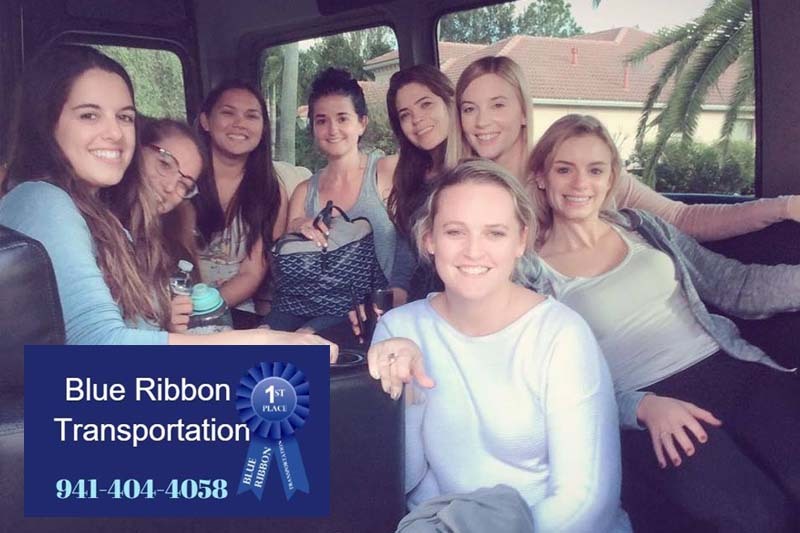 Blue Ribbon Transportation offering Luxury Sedan Limousine Limo Destination Services in the Sarasota area. Services to the airport, cruises, weddings, sporting events, proms, homecoming and group night out transportation and more! Call for limos near me or to make a reservation.